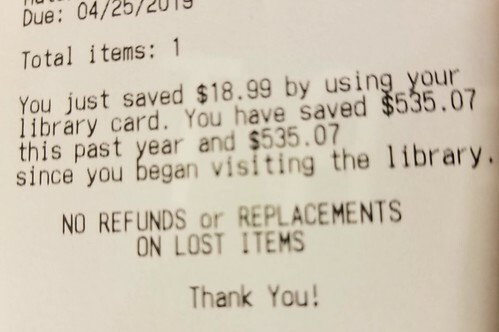 The local public library adds this statement to our checkout receipts. It's fascinating - what a good move. 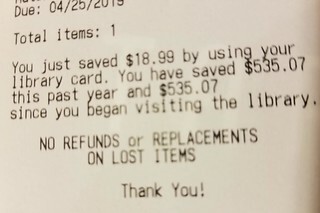 Anyone else seeing this from their libraries?